But when Ava is targeted by an unstable shifter, Bishop’s vow to stay away from the beautiful, fragile woman is forgotten. 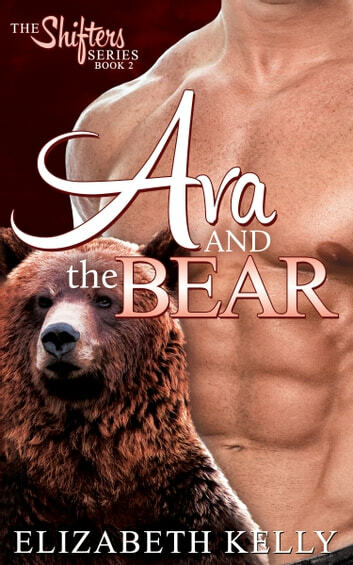 Ava doesn’t want his help but Bishop’s grizzly wants her and he’ll stop at nothing to claim her – even if that means battling an ancient and powerful enemy. Author’s Note: Although Book Two is a stand-alone story, I recommend first reading Book One, “Willow and the Wolf” in order to have a full understanding of the characters. I really love this series. The characters are well drawn and relatable. Bishop is such a sweetheart - you can't help but love him. It's really interesting discovering the different traits of tbe various species of shifters. each one has a special trait that makes you want to know them better. Recommend this series for a good and fun read.